Sony has unveiled its latest edition of the RX100 compact cameras with the Cyber-shot RX100 IV. The new pocket camera features a familiar 20MP 1-inch sensor, albeit this time as the first stack CMOS sensor of the product family along with an attached DRAM memory chip for faster processing speeds. Notably, the RX100 IV captures 4K video using Sony’s XAVC-S codec at 100Mbps for up to 5 minute clips. It also features S-Log2/S-Gamut Picture Profiles and can capture 16.8 MP still images during 4K video recording. Video can be captured at 960fps, 480fps and 240fps frame rates and is conformed in camera to 60p, 30p and 24p playback formats. he cameras utilize full pixel readout without pixel binning to ensure that all the finer details of 4K video are captured with minimal moire and ‘jaggies’. These high-quality results are achieved through use of the XAVC S codec, which records video at a high data rate of 100 Mbps during 4K recording and 50 Mbps during full HD shooting. The RX100 IV also captures full resolution still images at up to 16fps and offers an impressive 1/32,000s max shutter speed. 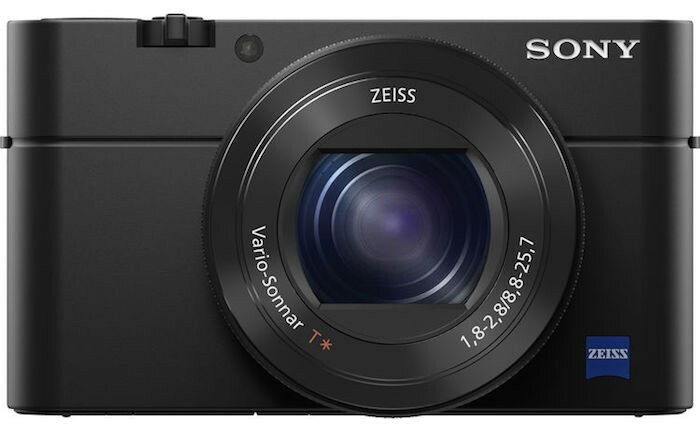 The RX100 IV features a Zeiss Vario-Sonnar T* 24-70mm (35mm equivalent) f/1.8-2.8 lens. The pop-up OLED EVF also gets a bump in resolution to 2.35M-dots (up from 1.44M-dots in the RX100 III). The high speed signal processing and DRAM memory chip work together to enable more than 5x faster readout of image data and are responsible for a variety of standout features that have previously been available in only a select few professional-level video cameras. The Sony Cyber-shot RX100 IV ships in July for around $1000. Check it out here at B&H Photo. It is not clear wheather the 960fps/480fps/240fps is for 1080p/720p? Been looking for firm answer too. It looks like its shooting in 60p/30p/24p at high frame rate and conformed in camera at 1920 x 1080 for all frame rates up to 960fps. So you have to pick your slow motion style (down to 40x slo-mo) before you shoot. This looks similar to the way Sony handled ultra high frame rates in the FS700, which shoots up to 960fps slow motion. And, you get to pick over higher quality or longer shots based on your needs. Either way you go, it looks like 960fps should be rather soft. Still, that’s very impressive for a pocket camera! I’ll update the main body of the post with more details soon.